Before celebrities flooded our Instagram feeds with selfies, before paparazzi was a household word, there was Elio Sorci, widely considered the world’s first ­paparazzo. 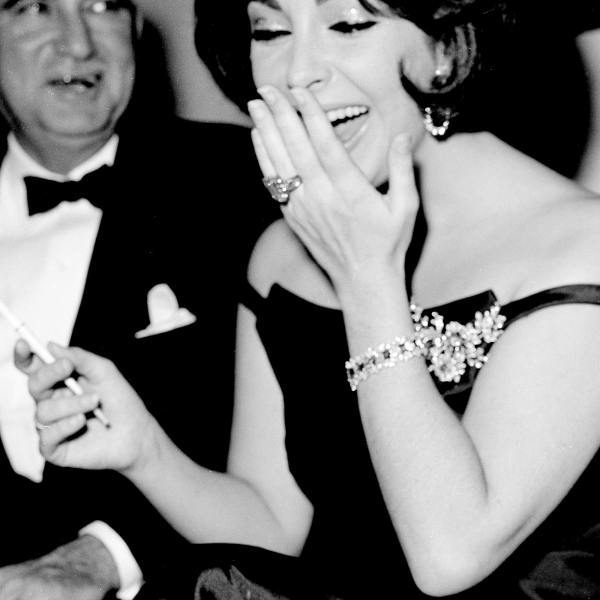 The Italian lensman snapped this ­glamorous pic of Elizabeth Taylor at the David di Donatello Awards in Rome in 1962. Cigarette ­holder in hand and flanked by two ­unidentified gentlemen, Taylor had every reason to smile. She was at the top of her career—in the midst of filming Cleopatra—and knee-deep in an affair with costar Richard ­Burton (as Sorci would famously reveal to the world). She was also dripping in a Bulgari platinum, emerald, and diamond parure: a bracelet with 13 Colombian emeralds, pendant earrings (with two Colombian pear-shape emeralds ­weighing 20.64 cts. ), and a tremblant brooch, which she’d later wear as a headpiece in the 1963 movie The V.I.P.s. As we’d say today: #jewelrygoals.